How to balance corporate priorities and employee passions without sacrificing results. Challenges other companies face and strategies for overcoming them. 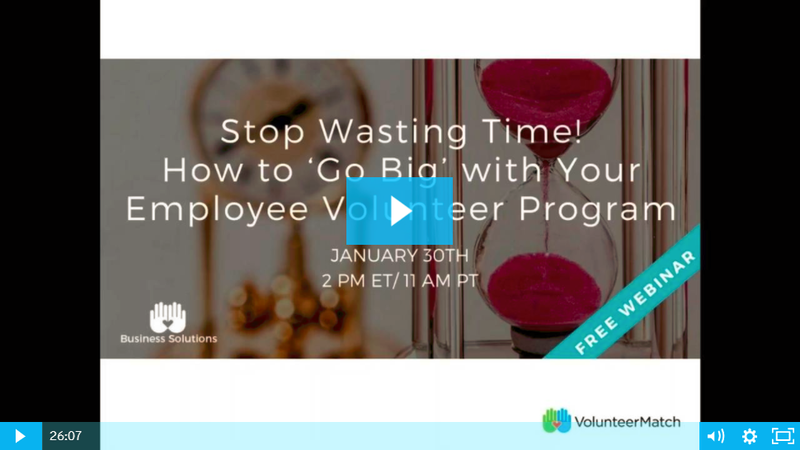 How to ensure your employee volunteer program has tangible, positive effects on the communities it serves. Plus, we hosted an extra-long Q&A session at the end. Did you miss the webinar? Don’t worry, we’ve got you covered. Watch the recording and start having a big impact today.